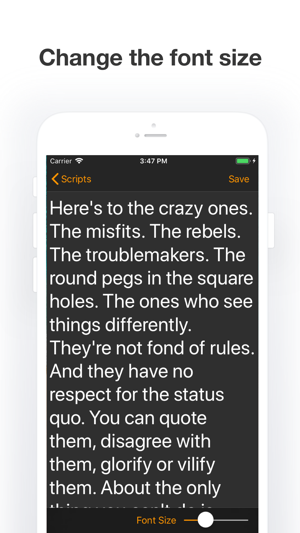 With this app, you can read your script easily without worrying about forgetting the next line. 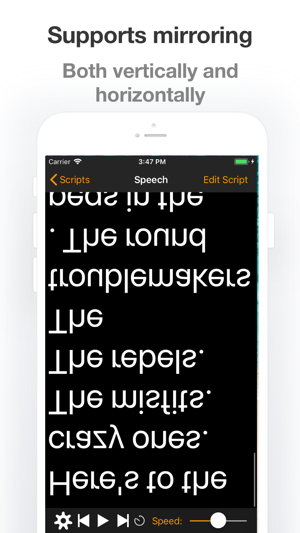 Teleprompter works well on iPhone, iPad and iPod touch too! So many more features are coming soon! If you have some ideas on​ how to improve it, please email me@matekovacs.com. 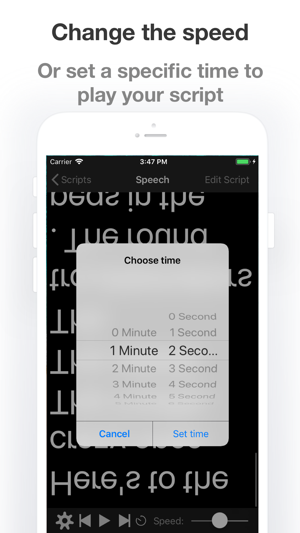 in this version, the scrolling speeds of the different scripts are saved too, so if you set it correctly once, you can return later and everything will be at the same speed! Thank you for the suggestion, Eve! I am constantly improving this application and if you have any suggestions, please email me@matekovacs.com or message me at twitter @kovacsamate! 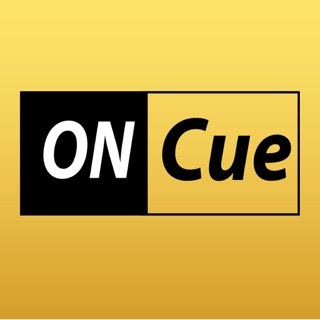 If you enjoy using the app, please leave a review because that helps me a lot! Developer redesigned an app and gave it a simplistic look and feel. Overall wonderful designed and easy to use! Thank you so much for your review Tom! If you have any suggestions please let me know so I can implement it in the next update! I agree with a previous poster about the misleading title. Don’t advertise it is a mirroring app when you have to pay extra for it. Just be honest and say what it is. Other apps advertise their non-mirroring version as their “lite” version. Just do the same and I would have no problem with the extra charge. Thank you very much for your good review! Can you suggest me which features you would like to see in the next version? 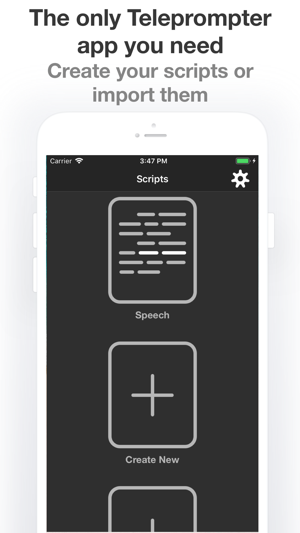 I would love to make the best teleprompter app in the App Store! You can email me@matekovacs.com too!